The meteor shower of the Lyrids is the oldest ever observed. From April 15th to 25th we will be able to admire the Lyrids, falling stars of spring. The oldest meteor shower ever observed is preparing to draw light trails in the spring sky. Among the celestial phenomena observable in the April sky there are the Lyrids. Long studied by astronomers, their first observation dates back to 687 BC by Chinese astronomers. Once a year, precisely between April 15 and April 28 with a peak between 22 and 23, the meteor shower of the Lyrids reminds us that we are crossing the remains of a comet, the comet G / 1861 G1 Thatcher. The remains are due to the “journey” that the comet makes around the Sun in about 415 years. In doing so it leaves behind residues, which give rise to the so-called “falling stars” phenomenon. 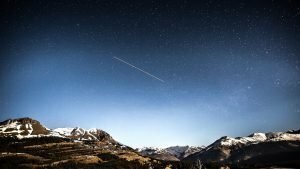 The meteor shower appears to have a lower consistency than other swarms, such as the Perseids. The first consists of 5-20 falling stars per hour. For the Perseids, for example, estimates go to the 100 meteors observable every hour. Moreover, given the often uncertain atmospheric conditions of mid-April, the full moon and the aforementioned “scarcity” of the phenomena, we will be lucky if we succeed in catching sight of some, of luminous wake! The spring then opens with the heavenly spectacle of the Lyrids, the falling stars of the Lyra, a constellation that seems to originate the meteor shower (the Lyra is the “radiant” of the metoer shower). Vega is its main star (it is called Alpha Lyrae) with its magnitude of 0.04 which makes it the fifth brightest star in the sky with the naked eye after Sirius, Canopus, Alpha Centaurs and Arturo. It is a white-blue star of class A with its surface temperature of 9000 °. The constellation of the Lyra is a parallelogram of stars between the third and fourth magnitude. It recalls the shape of a musical instrument: the Greeks and the Latins caught a glimpse of it the “lyra”, the musical instrument used by the unfortunate poet Orpheus, in love with Eurydice. What to observe in Lyra. 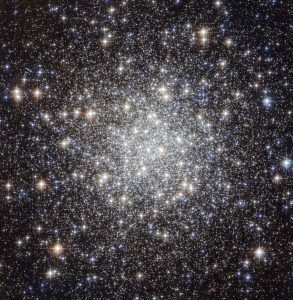 M56, globular cluster located between Beta Cygni and Gamma Lyrae. At 46 thousand light-years, it appears as an object of magnitude 8.2 and interstellar clouds partly obscure it. M57, planetary nebula visible only with powerful telescopes; is probably an example of what will become our saddle, the Sun, in about 5 billion years. Beta Lyrae, called “Sheliak” is a double star; scientist do actually care a lot about this star, in fact it is the most studied one after the Sun. Epsilon Lyrae, “double double” star, multiple star among the most famous of the sky of magnitude 3.83 and 4.5. There are numerous variable stars in the constellation, which together with the mentioned objects and Vega, one of the three protagonists of the “Summer Triangle”, make the constellation one of the most fascinating asterisms to observe. Eyes focused on the sky so for the Lyrids, the shooting stars of the spring season!